This is a guide to brick and mortar as well as online casinos in India. Find out what the best casinos and online casino sites are in India, or learn more about the legal status of casino gambling in the country. This article supplements the general guide to the legal status of gambling in India. It can be argued that a place where instruments of gaming are used covers online gambling as well, and online casinos are generally considered to be illegal in most Indian states. Another law that may affect online casinos in India is the Information Technology Act passed in 2000. This law prohibits the publication of information over the internet which might corrupt people. To summarise, operating online casinos is illegal in most of the Indian states. With the notable exception of a single state, Sikkim (read on for details), India does not issue licences to online casinos, which means there are no legally available online casinos in India. However, the legal status of Indian gamblers playing on international online casino sites is not as straightforward. The Information Technology Act does not cover individual players partaking in online gambling. The Public Gambling Act may prohibit online gambling, but there have been no reports of anyone prosecuted for playing in international online casinos from India. Sikkim is the only one of India’s 29 states where online casino gambling is regulated and legal. The Sikkim Online Gaming (Regulation) Act was passed in 2008. This law allowed certain games, specifically Roulette, Black Jack, Pontoon, Punto Banco, Bingo, Casino Brag, Poker, Poker Dice, Baccarat, Chemin-de-for, Backgammon, Keno, and Super Pan 9 to be played online. Companies who wish to operate an online casino in Sikkim must apply for an online casino licence and pay the associated licensing fee. The online casino licence is valid for a year and may be renewed. The first regular online gambling licence was granted by the state of Sikkim in 2014 to M/s. Future Gaming Solutions Private Ltd. However, to date, no actual online casinos have been established in India. Here’s a selection of online casinos I’ve tried and recommend wholeheartedly. Choose from these trustworthy online casinos available in India, or read on to find out more about the legal status and future of gambling and casinos in India! Since India has gained its independence, states have had the authority to create their own legislation regarding gambling. Casino gambling is illegal in most of India and 27 of the 29 Indian states have no brick and mortar casinos. The only territories with legal land-based casino gambling available in India are the states of Goa and Sikkim and the union territory of Daman and Diu. Daman and Diu is one of the 7 union territories of India. Union territories have no elected government of their own, and ere ruled directly by the Union Government. However, the union territory of Daman and Diu and the state of Goa were administered together until 1987 as Goa, Daman and Diu. As the territory’s gambling law was introduced before this, the territory and the state now have the same gambling regulations. 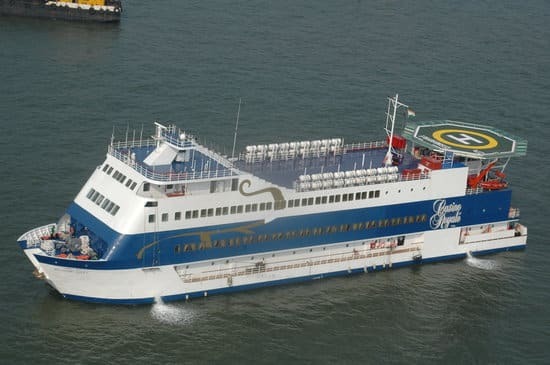 Currently there are about 15 casinos in Goa, most of which are land-based casinos in 5-star hotels and 4 are “floating casinos” operating on ships. The floating casinos are Casino Deltin Royale, Casino Deltin Jaqk, Casino Royale Goa, Casino Pride and Casino Pride 2. There is no restriction on the opening hours of casinos. Practically all casinos in Goa offer baccarat, blackjack, roulette, poker and slot machines; and most of them offer many more casino games. The third place where legal casino gambling is available in India is the state of Sikkim. The law legalising and regulating casino gambling is the Sikkim Casino Games (Control and Tax Rules) of 2002. The first casinos theat opened in Sikkim were the aptly named Casino Sikkim and the Casino Mahjong. Since then, several others have opened, offering all traditional casino games and some more special ones such as ‘Kitty’ in Casino Mahjong. Daman and Diu has, at the moment a single casino which is situated in the territory’s capital, Daman. The Deltin Hotel & Casino in Daman is run by the same Deltin Group that operates many of the casinos in Goa. Other territories and states have also been looking at the legalisation of casino gambling, but no steps have been taken yet. The legal status of online casinos in India has been discussed, but regulations of various forms of online gambling in India are not all the same. Legal online gambling includes, at least in some states, online poker, online sports betting and online lotteries. The 1867 Public Gambling Act stated that games of mere chance are exempt from the ban on gambling. The exact status of poker as a game of skill or a game of chance has long since been debated. The High Court has made what seems to be the final decision: in 2013 a poker club was raided and owners and players alike were detained for illegal gambling. However, the High Court ruled in the club’s favour, declaring poker to be mainly a game of skill, and the club was allowed to stay open. As a result, poker is now generally considered legal in India. Still, most of the Indian states do not issue online gambling licences of any kind, and there are currently no online poker operators based in the country, not even in Sikkim. Sports betting in India is generally considered a form of gambling and illegal. However, in 1996 the Supreme Court of India ruled that wagering on horse races is a game of skill, which means it is permitted. Online sports betting was legalised in Sikkim in 2009, as an amendment to the 2008 law regulating online gambling. Still, at the moment there are no India-based online sports betting sites of any kind. Lottery in India is legal in almost half the states including Goa and Sikkim. Some of these states allow only their own state-run lotteries, but from others, India’s only online lottery site is available. This online lottery site is the online version of Playwin, the company behind several land-based Indian lotteries. The online version of Playwin lotteries is licensed in Sikkim. Playing on foreign online gambling sites from India is at least semi-legal, and legal in some states. There have been no reports of players in India prosecuted for online gambling, and several international online gambling sites welcome Indian players. However, accessing and depositing money on such sites may prove difficult. Many Indian credit cards are not accepted; credit card transactions and online bank transfers to online casinos from India may fail. Many gamblers from India circumvent this by using various legal alternative deposit options such as Neteller or Skrill. Some foreign online casinos and gambling sites may also be blocked in India by internet service providers. Simon’s Guide to Land-based and Online Casinos in India is part of Simon’s Online Casino Guide. A guide to the legal status of online gambling, including casinos in India, as well as other online gambling opportunities and the difficulties faced by online gamblers in India. Playing online games like Rummy and Poker is legal in India. These games require skills.